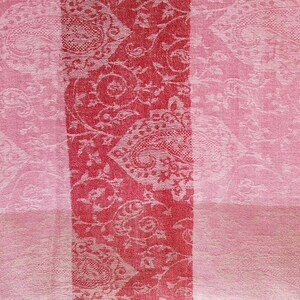 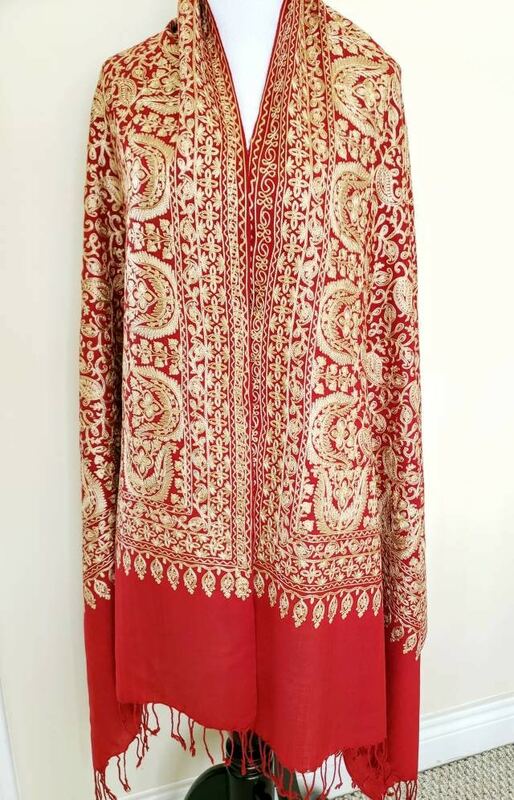 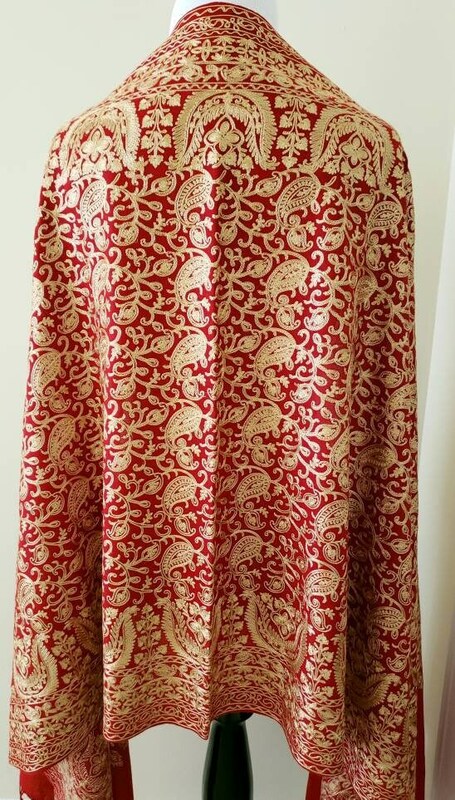 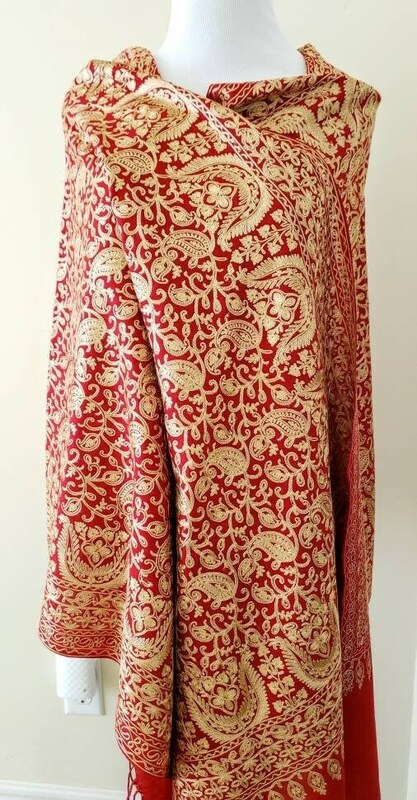 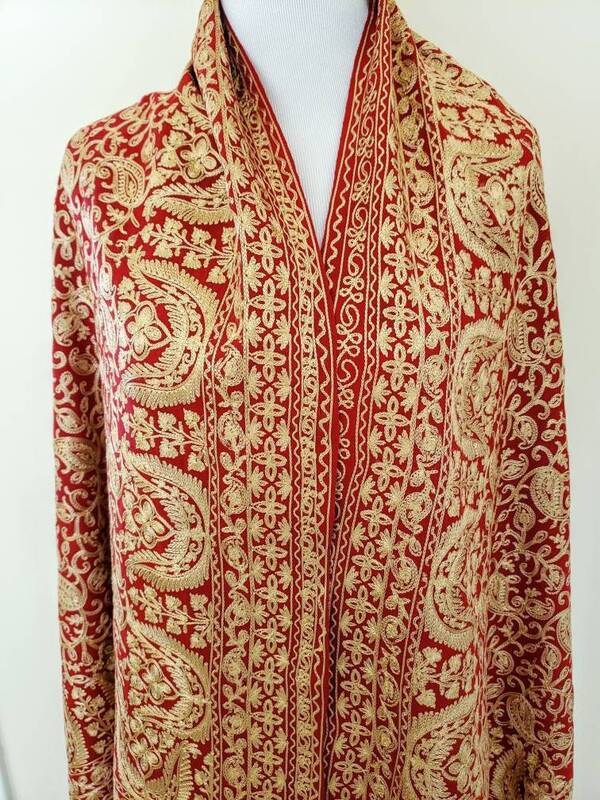 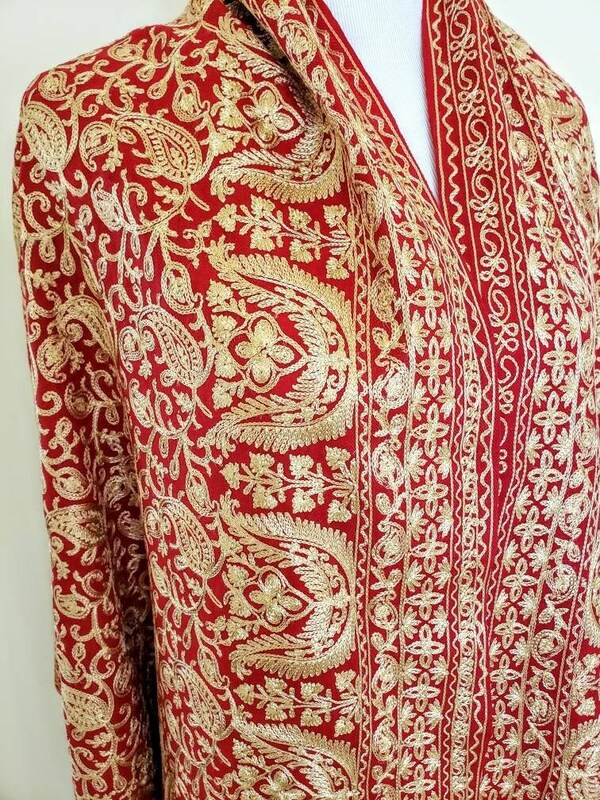 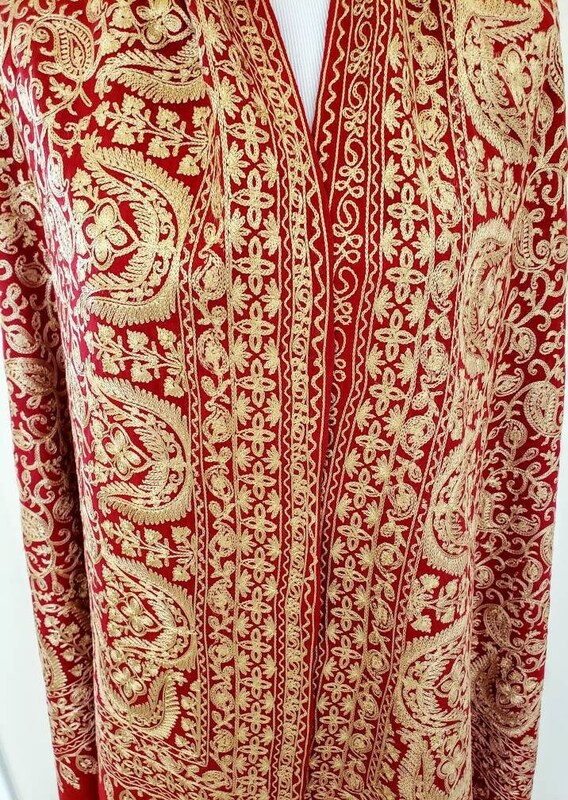 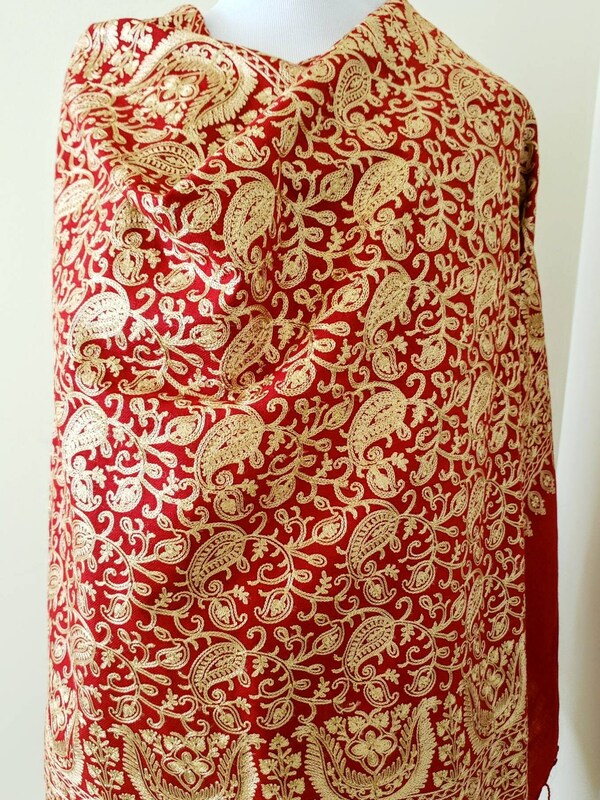 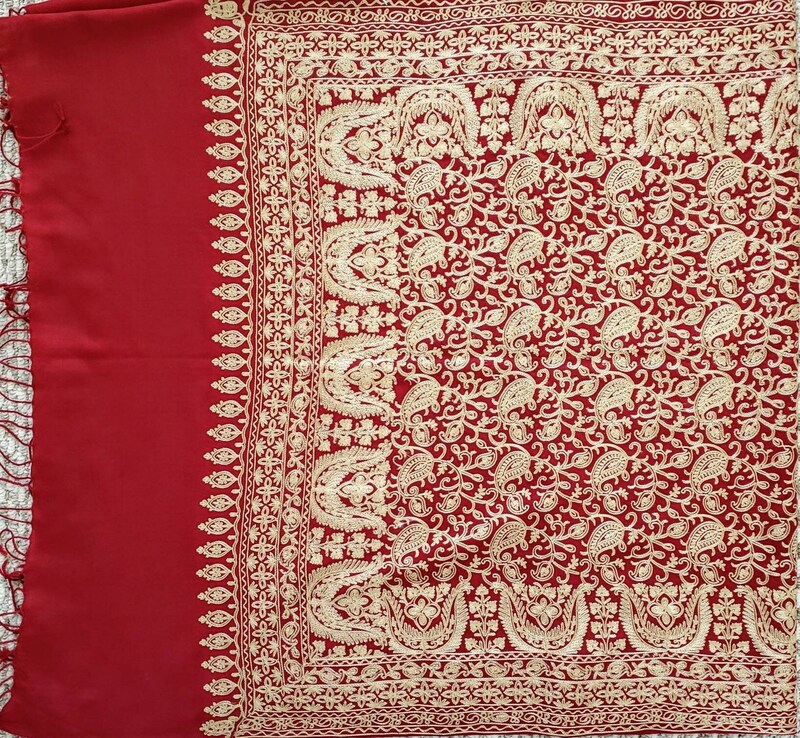 Look stunning in this elegant red wool shawl with golden beige paisley embroidery, all over pattern. 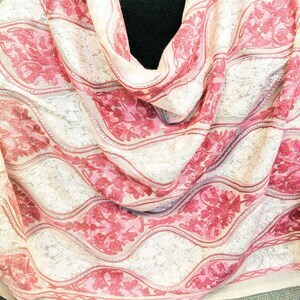 Elevates any outfit to the next level. 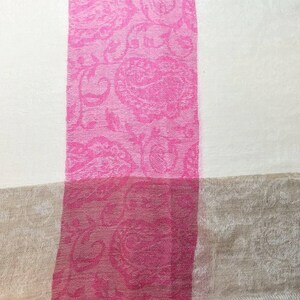 Light weight and soft, drapes beautifully. 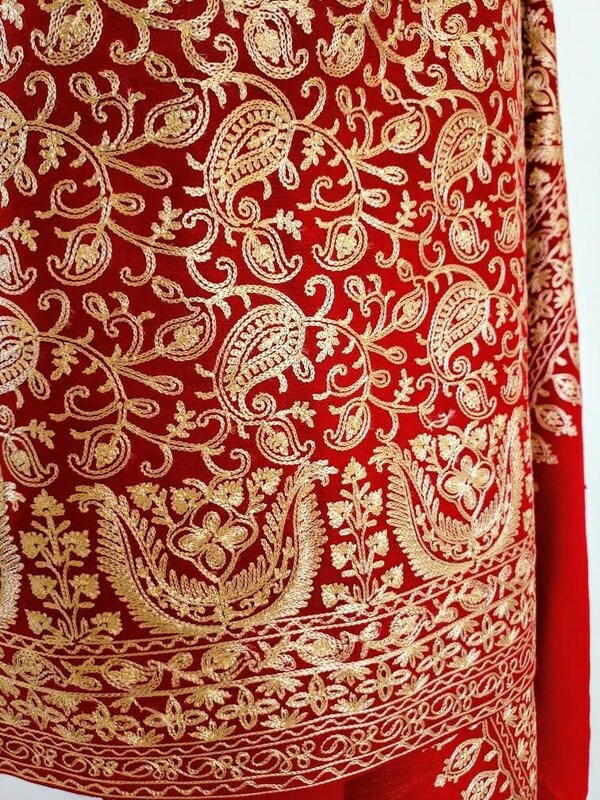 The embroidery catches the light and just glows. 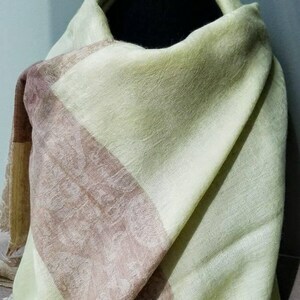 Measures 28 in wide, by 74 in long, finished with a 2 in twisted and knotted fringe.